Clearly we love our Mexican food. I wouldn’t be shocked if there were another Mexican dish tucked away in the cookbook somewhere. If there is, one of us is sure to find it. This round was Tina’s pick, Ree’s white chicken enchiladas. We all knew going into this that there would probably need to be some adjusting. The recipes thus far have all been over the top in one way or another, some good and some just… not necessary? Everyone has their own preference when it comes to amounts and flavors though so I’m not saying it was wrong. I did make a bunch of adjustments to suit our preferences more though. I cut my ingredients basically in half and went from there. We’re not crazy about paprika so I played around with the flavors I felt needed to be present in a Mexican dish. It needed a kick, so cayenne was necessary. Along with the cayenne, to the chicken I also added in a dash of salt, pepper and both onion and garlic powder. This gave it just the slight kick and flavor it needed. Paprika alone certainly wouldn’t have sufficed. In addition to seasoning the chicken, I seasoned the veggies a bit with salt and pepper as they sautéed. Outside of some seasoning adjustments and reducing quantities, the biggest change was eliminating steps. The original recipe called for quite a lengthy preparation. I imagine enchiladas to be easy and fairly quick, so 30 minutes to rest charred peppers was not on my to-do list. Overall, this dish was tasty but hasn’t been my favorite. 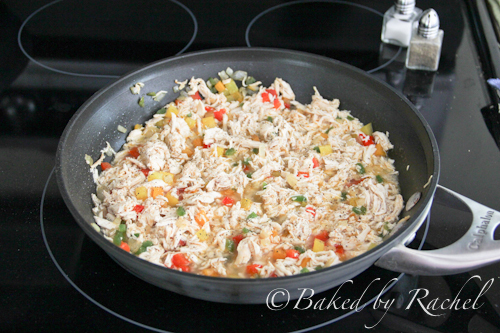 The sautéed peppers infused the seasoned and shredded chicken with a nice, but light flavor. It shined through even after baking. 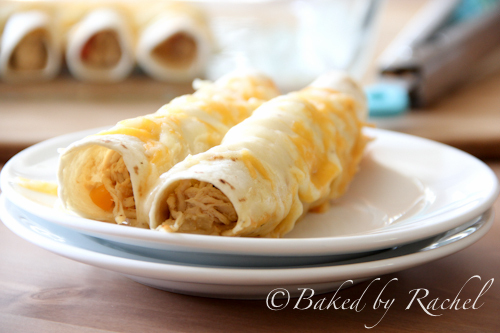 These were topped off with a creamy mixture and additional shredded cheese, for good measure of course. Perfect for a a buffet when you want to try a little bit of everything. Serve this up with salsa, sour cream and other flavorful Mexican dishes. 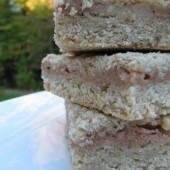 -Cut the original recipe at least in half, especially if only serving a few people. It was more than enough for us. -Adjust seasonings to your liking. I think all Mexican food should have a kick, if you don’t like spicy food then stick to just paprika. -Instead of grilling or broiling and then resting my peppers for 30 minutes, I chopped them and sautéed along with the onion and jalapeño. -Speaking of onion and jalapeño…and peppers… I reduced those to 1/4 onion, 1 jalapeño and 1/3 each of the bell peppers. I wanted more chicken and less pepper but the pepper flavor still shined through nicely. Not at all too peppery, just right. -Use a large cookie scoop to portion out your filling. Works great. -I used two pans but you could easily use just one if you’re willing to make your sauce in the same pan as your chicken. Remove the chicken to a separate bowl, fill your enchiladas and then make the sauce. Time consuming either way but less messy, maybe? -I didn’t even use all of my cheesy, creamy, chicken stock mixture… maybe 2/3. From hearing how saucy and goopy it could have been, I’m glad I stopped when I did. Did you know that you could perfectly shred a chicken breast … WITH YOUR STAND MIXER?! I wish I’d found out about this sooner. No, I wish I’d tried it out the moment I heard about it. I first learned about this easily many months back, or more and honestly never thought much of it. Someone should have insisted I try it right then and there. I kept slaving away shredding my chicken by hand. When I was preparing my ingredients for this recipe (the day before, because thats sometimes how I roll… especially when there are children running a mock and 100 steps to the recipe) I found myself with chicken ready to be shredded and lil man wanting to be held. What was a girl to do?! Oh there sat my pretty stand mixer just waiting to be used. Oh fine! I figured it was worth a shot. Tossed my chicken in and turned that baby on, starting out low and increasing the speed as the chicken broke apart more. Uhm hello perfectly shredded chicken. Never again by hand. Never again. Do it. Trust me. Now, not later. Don’t argue… the next time you want or need or desire shredded chicken (or maybe even pork or beef?! 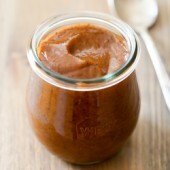 ), toss it in your mixer and let that baby do all of the work for you. PS. Don’t forget to enter the giveaway over here for a Sprinkle Bakes cookbook! Giveaway is open through May 31st, 2012. I love your honest take on all of these recipes. This looks really good to me and I like the changes you made. haha i learned about the stand mixer thing several months back when i bitched about shredding chicken for some dish..then i got all these comments on my blog saying to use a stand mixer..UM OMG IT’S GENIUS. yours looks really good for the amount you cut back on, i’d gladly eat a large plate of yours over my disgusting cream infused ones. I definitely agree on the paprika thing. 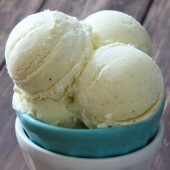 As the only spice in there, it’s clear she wasn’t going for flavor and more of a “knock ’em out with cream” approach. Love all the spices you added. Also, I feel like I will forever think of you now when shredding chicken in the mixer. Life changing! Yours look DELISH! Love how non-goopey they are!!! :) PS- great tip w/ the shredding chicken in the mixer!!! Looking at it it looks really good. I’m like you I don’t really like paprika. Can’t go wrong with Mexican food. And a big yes on shredding chicken in the mixer. HUGE time saver!! I love your changes. And yes I agree- I will never shred chicken by hand again! Your changes look great. I need to try that chicken trick – I hate shredding meat! I love reading how you make changes to the recipes and your opinion of the PW recipes. These look really good even if they weren’t your favorite. I’ve made a billion enchiladas but I’m not sure I’ve ever done a white one like this. I need to go make something with shredded chicken now because I just love that tip of shredding it in the mixer. I have to try that! Better yet, why don’t I just make these. Looks great! yours look absolutely delicious – love the changes you made! I thought I was the only one who didn’t like paprika lol. Next time I need shredded chicken I’ll definitely give my mixer a try. Clearly amazing! Looks so yummy! Rachel this is an amazing weekend dish! 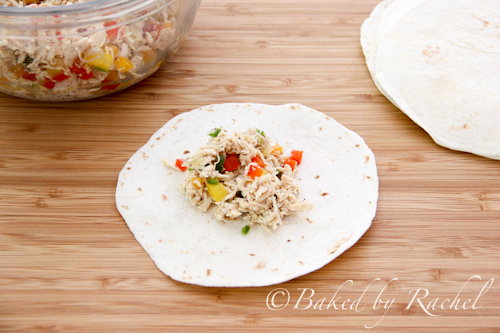 I really wish I knew about the mixer way of shredding chicken before now… so much easier! I always shred my chicken in the stand mixer, it is such a time saver!! 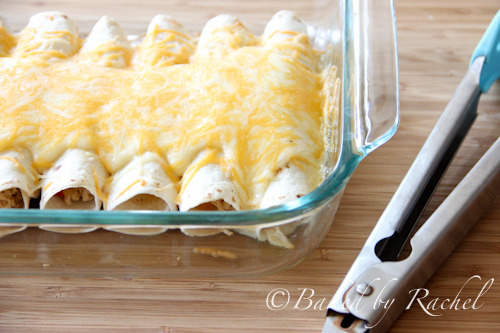 I don’t think I’ve ever made a white enchilada so I’m intrigued by these for sure! I appreciate your honesty, and all your tips! We love enchiladas, but by we, I me him, and only a certain kind. I love all Mexican. I have to find a way to sneak these white chicken enchiladas in one night and see what he thinks. WHAT A CLEVER IDEA – to shred chicken in a stand mixer – its always on my counter – and i love using it for anything 0 crushing biscuits, whipping cream etc – now i have a savoury use! Thats the best! Thanks Rachel!! 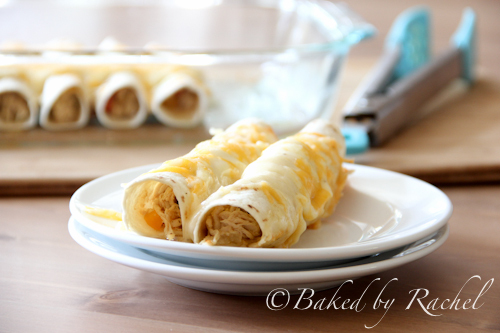 I have never made Enchiladas, and i am very keen to try these!